Being the lover of vintage that I am, when I came across these handbags from Kim White, I literally felt my mouth water. That reaction dulled a bit when I saw the prices of the totes and purses (in the $200-dollar range! ), but I still want to recognize what I think is great design, and a great way to repurpose these textiles. Kim, who lives in Los Angeles, made the fabulous discovery of a warehouse full of automotive fabric and, more recently, a stock of vintage floral textiles that were used in furniture from the 1950s through the 1970s (so freaking jealous!). She turns them into some very chic-looking accessories (which now includes belts) and even includes a tag with each automotive bag that says what car it came from (i.e. 1983 Camaro or a 1978 Ford Mustang). 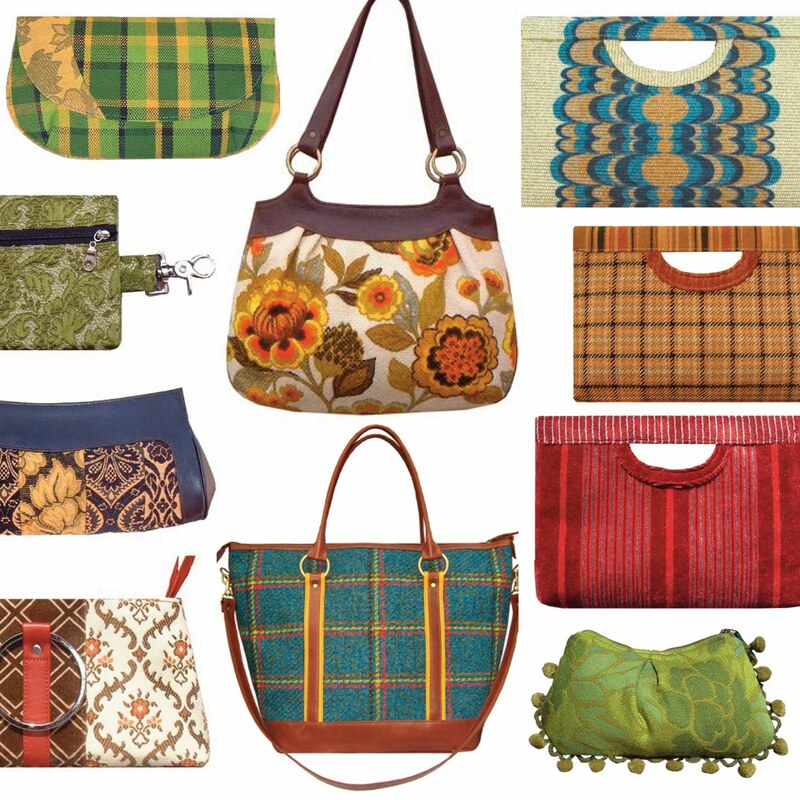 As I said, all of the bags are listed in the hundreds of dollars, but for those of us with less expendable income, she does make a line of small accessories that include cosmetic bags ($26) , eyeglass cases ($26), clip-on wallets ($34) and pom pom bags ($44, which are really funky and fun). The cosmetic bags and wallets can be made from your choice of fabric (any on the site other than the Camaro and Gremlin), which I think is a great idea! I'll leave you with some fall-inspired picks (even the ones outside of my grasp; but a girl can dream, right?). Check out her site and let me know which ones are your favorites! Talk to you tomorrow, for our next installment of "What's in Your Closet?" and my step outside my comfort zone and into those shorts! (Check out last Wednesday's post if this sentence leaves you clueless.) Stay inspired!